After spending the last week frantically watching the remaining Oscar nominees I’m finally in the position to cast judgement on who’s going to be blubbering over a little gold man at Sunday’s 86th Academy Awards, as well as who’s going to be ungraciously shafted from winning a deserved accolade, there’s always one. The usual Oscar predictors of the BAFTAs and Golden Globes haven’t presented any certified indicators this year- critics’ favourite 12 Years A Slave has picked up the accolade for best picture without dominating the acting categories, surprisingly American Hustle has cropped up as a winner along with the space odyssey of Gravity picking up its fair share too. Even agonising Oscar outcast Leonardo DiCaprio managed to bag a BAFTA for his raucous performance in The Wolf of Wall Street giving him hope of finally seizing the Oscar he so desperately desires (and deserves). With such an open and eclectic selection of films up for this year’s Oscars it’s a brave, or stupid, man that takes on the impossible task of predicting the winners and losers, luckily I’m bravely stupid. Ignoring the superfluous categories such as Best Film Editing, Best Documentary Short or Best Performance from an Inanimate Object (Keanu Reeves would be in his element) it’s down to the serious stuff, the awards that audiences, actors and directors are awaiting the outcome of with bated breath. The all important question is which film is going to join the elite batch of cinematic masterpieces such as On the Waterfront, Kramer v Kramer, Rocky and Gone with the Wind? Nine films do battle for Best Picture with the favourite likely to be Steve McQueen’s masterful depiction of slavery; emotionally unflinching it’s a standout piece of cinema unrivalled in its classically epic cinematic qualities. 12 Years is the most complete film on offer, harkening back to the heydays of classic cinema it’s a richly fulfilling story that’s near infallible, must importantly its more worthy than its competition. I wouldn’t begrudge Dallas Buyers Club, The Wolf of Wall Street or Her the award, especially the latter, just as long as sycophantic American propaganda fest Captain Philips and special effects love in Gravity don’t win. In the same vein of thought it’s Steve McQueen who should do the double with the award for best director, though Oscar winning expert David O. Russell will fancy his chances of picking up more golden ware for American Hustle. Gravity’s success is in its mesmerising special effects rather than ingenious direction, while poor old Martin Scorsese is likely to be given the cold shoulder as usual, honestly though, The Wolf of Wall Street is far from his best piece of work. Best Actor is less clear cut with two frontrunners edging marginally ahead of the following pack. Chiwetel Ejiofor (12 Years a Slave) and Matthew McConaughey (Dallas Buyers Club) are the latterly mentioned favourites and deservedly so; Ejiofor is masterful as the angst ridden Solomon Northrup while McConaughey continues his renaissance as charismatic AIDS sufferer and activist Ron Woodroof. You can write off the underwhelming duo of Bruce Dern (Nebraska) and Christian Bale (American Hustle), but DiCaprio can’t be ruled out considering his pedigree and monster performance that carried the three hour debauchery on Wall Street, saying this, he’s consistently overlooked at the Oscars so don’t be surprised if his awards cabinet remains dusty on top. Best Supporting Actor remains relatively open, although there’s a strong media love in with Barkhad Abdi (Captain Phillips) and his rags to riches story. With an emotional tale worthy of a film itself the Somalian native has the upper hand coming into Sunday, hopefully sense prevails and cross dressing Jared Leto (Dallas Buyers Club) wins the award for his brilliant and tender performance. It would seem that Best Actress is justifiably sewn up by Cate Blanchett (Blue Jasmine) who’s singly handedly managed to make Woody Allen relevant again; despite the fact the fact the veteran director keeps undermining his professional credibility with his personal misdemeanours. While Sandra Bullock (Gravity) is diabolical and Amy Adams (American Hustle) average beyond her excessive cleavage, Judi Dench is a worthy candidate for her role in Philomena as she strikes up an unlikely rapport with Steve Coogan for a truly tender and memorable British film. Best Supporting Actress could go to anyone, but newcomer Lupita Nyong’o (12 Years a Slave) seems the safest bet to win, additionally the endearing June Squib deserves serious consideration as the bright spark of life and humour in the otherwise low key Nebraska. Looking beyond the major categories; expect Gravity to clean up on every special effects related award, Woody Allen to triumph for another witty original script and Philomena to clinch best adapted (fingers crossed) along with The Act of Killing to win Best Documentary. Best cinematography has a glaring admission in 12 Year’s Sean Bobbitt, meaning Gravity should win, but a special mention goes to Roger A. Deakins for his atmospheric work on thriller Prisoners. That’s my predictions for the Oscars, undoubtedly I’ll have got it all wrong and look like an ill-informed tosspot when The Bling Ring and The Hangover Part III get a late call up and clean out the awards much to my dismay. 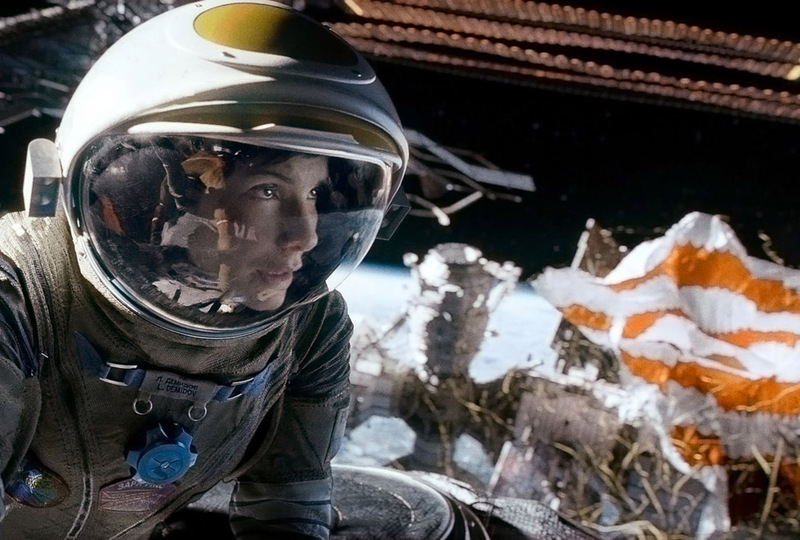 As long as Gravity and Sandra Bullock miss out on top marks then I’ll be a happy man.